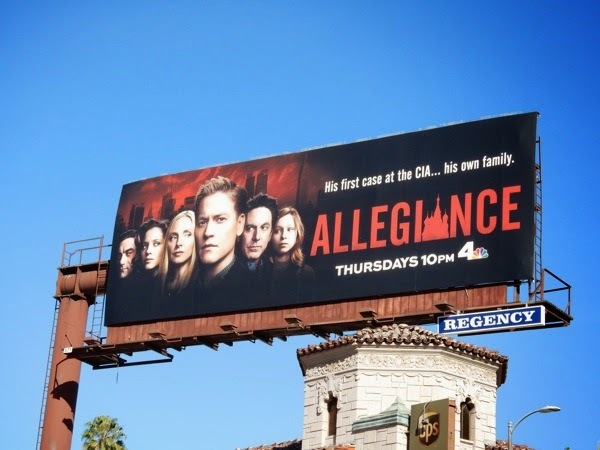 If The Americans doesn't satisfy your cravings for Russian sleeper agents, then maybe NBC's new modern day thriller, Allegiance, will be able to do the trick. 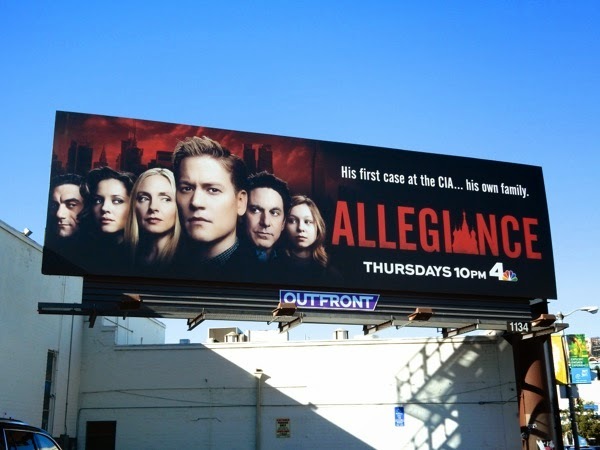 Whereas FX's Cold War spy series is set in the 80's, this version is set in the present and stars Gavin Stenhouse as rookie CIA analyst 'Alex O'Connor', who doesn't know that his parents and his sister are actually part of a Russian Intelligence sleeper cell who have recently been reactivated. 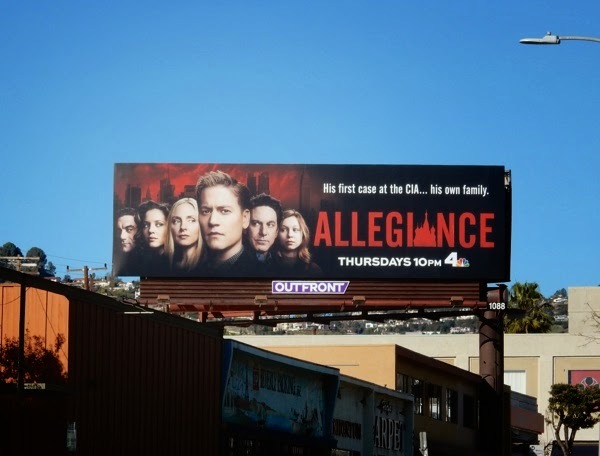 Talk about family secrets and skeletons (quite literally no doubt) in closets. 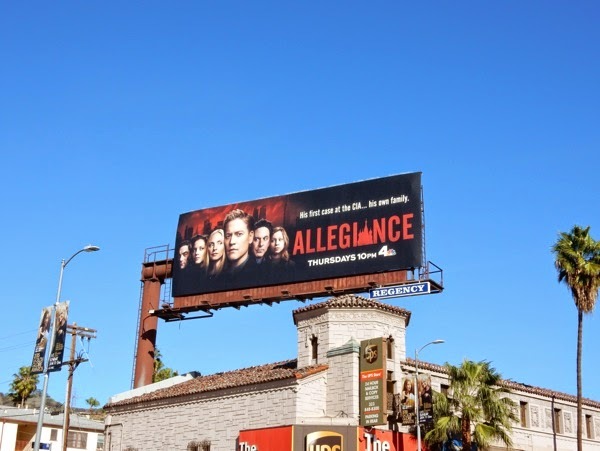 These ominous billboards for Allegiance were first snapped above Sunset Boulevard on January 14, 2015, plus along Fairfax Avenue and Beverly Boulevard the next day. 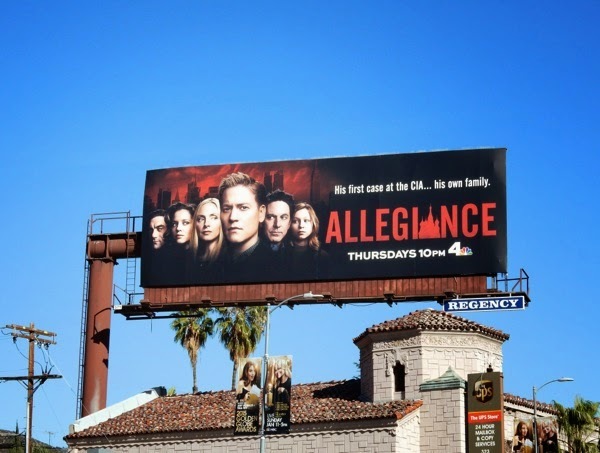 If you like the sound of this new series, which is based on an Israeli format, be sure to also check out these billboards for The Americans, now in its third compelling season and also about Soviet undercover agents living in the U.S.
Looks like the Middle East are going to have a break for a while and the Russians are going to be the villains again (it's not like they are making many friends around the globe at the moment with Putin's aggressive policies against other countries and his own people), so with the threat of a terrorist attack imminent, be careful who you trust comrade.